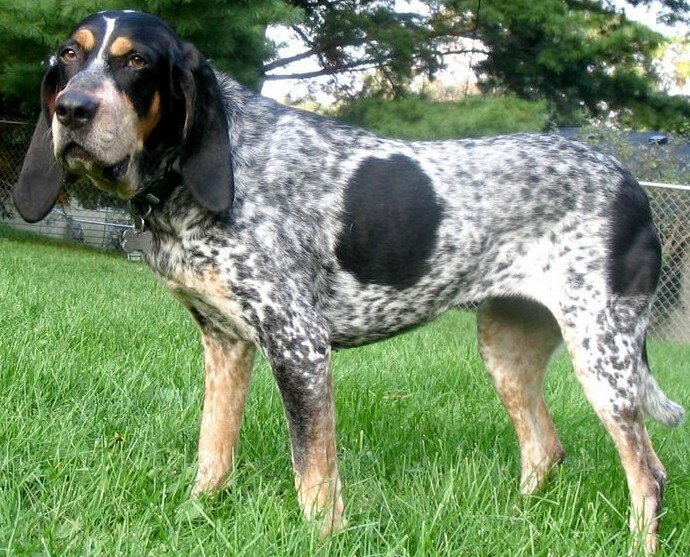 The Bluetick Coonhound is just about identical to the Black and Tan Coonhound. They have a blue tinged coat, that is, whitish like blue mixed with black spots. The breed from my personal experience, is a bit more nervous and aggressive than the Black and Tan Coonhound. Many times the color of an animal often determines its overall personality. It is a genetic quirk found in the animal kingdom. The breed makes a great pet and shares many of the skin and ear issues as the Black and Tan Coonhound. They are both excellent raccoon hunters. Which of the two you purchase is up to you, the future owner. Some hunters hunt with both types of Coonhounds. Learn more about the Bluetick Coonhound on Animal Planet’s® Dog Breed Selector.